Winona has worked with the British Fashion Council (BFC) since 2007. 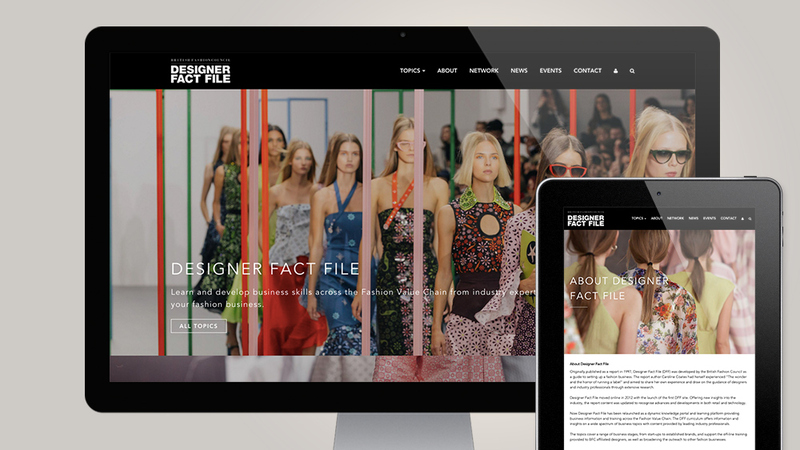 In 2015 we worked in partnership with BFC Business Support to develop the Designer Fact File – a comprehensive online business support platform for designers. BFC were aware that many designers excel in the creative process, but are less confident with some of the more mundane businesses skills. 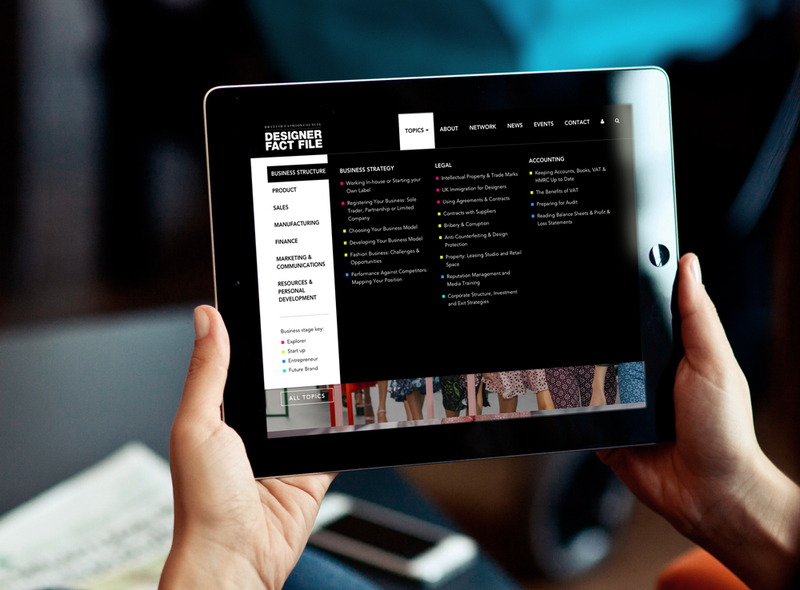 They wanted an online resource that would help plug the knowledge gap and assist designers in the day to day running of their businesses. We set up the Designer Fact File to help designers with issues like cash flow, working with suppliers, and all those other areas that a designer needs to understand to run a profitable business. 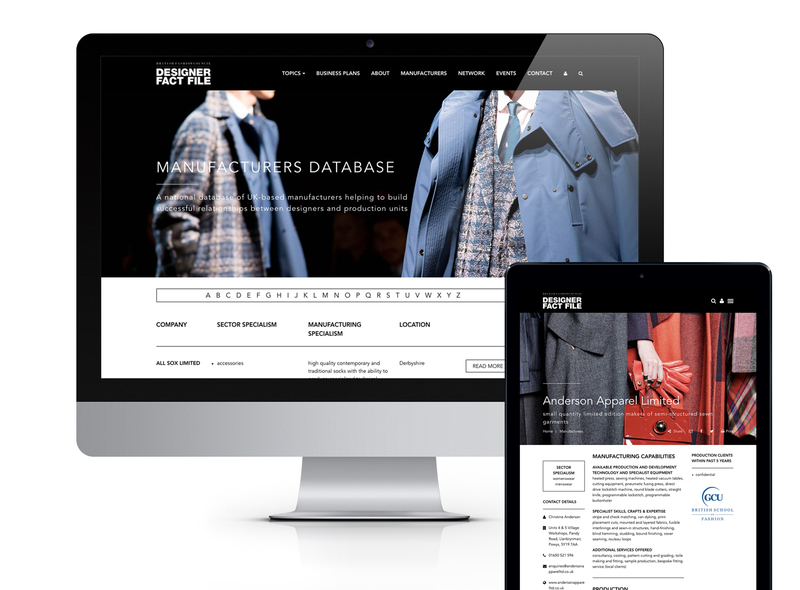 The work included creating a fully responsive site, effective information flow, an engaging user experience with a powerful but user-friendly a CMS to support the new platform. 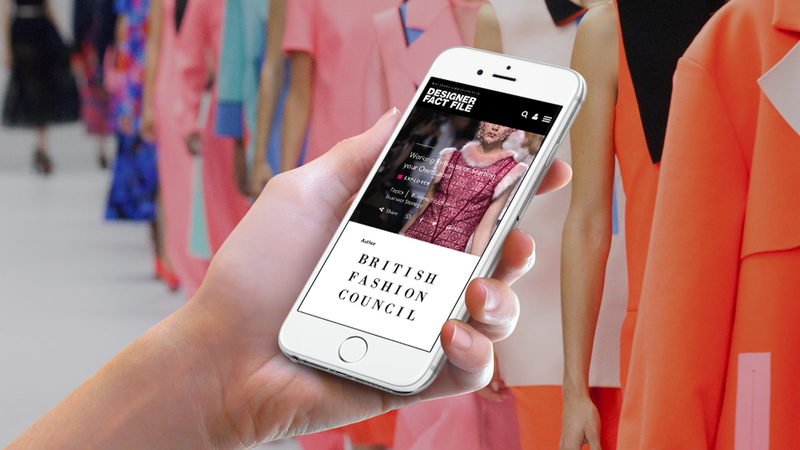 The new platform reflects BFC’s position within the fashion industry and the vibrancy and dynamism of the industry itself.